A wireless intercom system can be a convenient way to communicate throughout your house, office or warehouse. 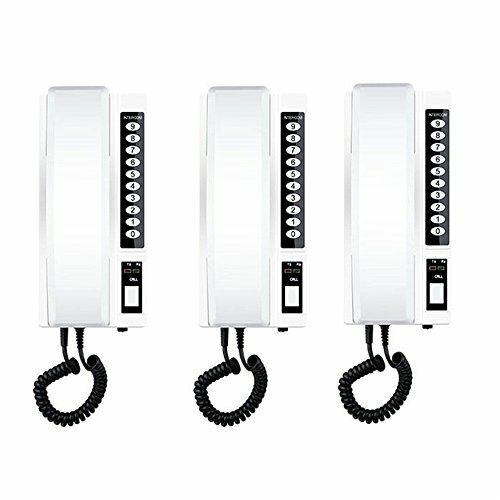 This Plug & Play Wireless Intercom is very simple to use, clear two way communication and has an impressive 100 meters within building and 500 metres in the open field without barrier Transmission. 2. The intercoms ID code had been set. the ID code is listed on the top right corner of intercom. 3. Full charged the intercom or plug with adapter to power socket directly, turn on switch at the bottom. 4. Dial the ID nubmer(1, 2, 3) for which you want to call and press call button, the called intercom will rings, pick up and answer the call.